Stewardship is about being grateful and taking care responsibly of the gifts we receive from God. The Episcopal Church sees stewardship as more than simply contributing money to the church -- it’s also about contributing time and talents, and volunteering for ministry and mission. It’s about reaching out to build relationships from a perspective of abundance instead of scarcity. The volunteers who support all of our ministries are stewards in one way or another, but the ministries below are those specifically related to caring for the institution so that we may continue our mission for many years to come. Please visit our Leadership page for a full list of staff and volunteer leaders. Sited on approximately seven acres, St. Mary’s campus consists of the church, a parish house, an education building, a rectory and the churchyard. Our buildings & grounds are not only our spiritual home, but are also historical landmarks filled with cultural & artistic treasures. Please visit our Campus Tour for more information. Our Buildings & Grounds committee oversees these treasures and is led by Greg Stevens, with our junior warden and rector as members. The committee is charged with the care and upkeep of the physical property, and is currently evaluating existing conditions to serve as a roadmap for future preservation efforts. Our Finance Committee is chaired by our treasurer, Frank Favia, and includes our senior warden and rector. It formulates an annual budget, which is subsequently reviewed and approved by the vestry, and then meets regularly throughout the year with the bookkeeper to monitor the pace of collections and expenditures, and makes adjustments to the budget as necessary. St. Mary’s income is derived primarily from pledge & plate collections and endowment funds, which account for approximately 60% and 30% of our total operating revenues, respectively. Our operating budget includes expenses associated with compensation and benefits, as well as maintenance of our buildings and grounds. In addition to the operating budget, St. Mary’s has three programs that maintain separate books and are not part of the church’s operating budget: the Community Preschool, our Outreach Program, and the Rector's Discretionary Fund. 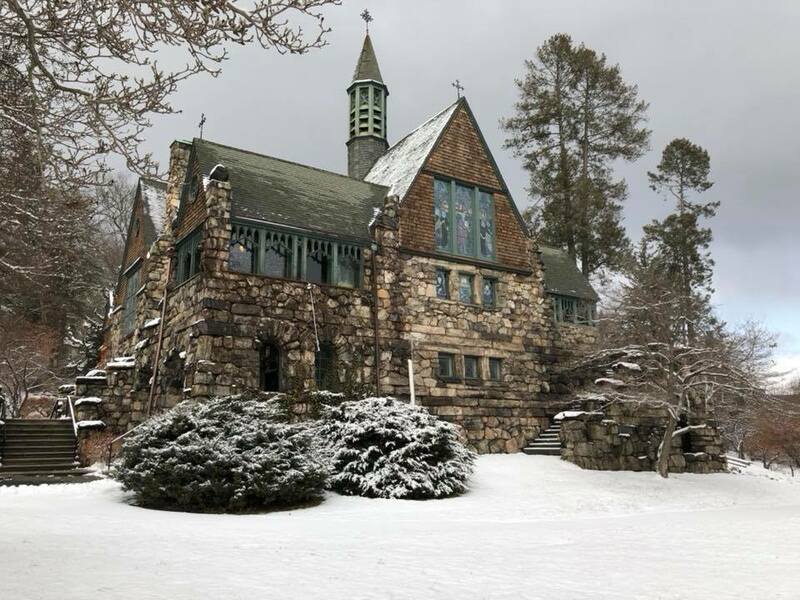 We operate in a fiscally disciplined manner and seek to balance the budget every year, while still meeting expectations for a vibrant spiritual and parish life as well as responsibly maintaining our historic buildings and grounds. Our financial condition is healthy and stable, and we currently have no third-party debt. Our books are audited annually by a CPA and full, certified financial statements are filed with the Trustees of the Diocese of New York. Our annual stewardship campaign occurs in the fall and encourages each member to pledge as they are able. The tradition of giving back to God and to the church comes from the Biblical practice of tithing, which means to give back a tenth of our earnings to God (Numbers 18:26). Please contact John Cassis, our Stewardship chair, for more information about pledging. Make your annual pledge and confirm your membership information here. St. Mary's is blessed with an endowment of financial gifts given by previous generations which are invested for the long-term health of the church. The six endowment accounts are held in separate capital accounts, but are invested collectively in index funds managed by the Vanguard Group. The portfolio consists of cash equivalents (5%), fixed income securities (30%) and equities (65%), approximately. Our Investment Committee manages the endowment. The committee is comprised of four people who meet as necessary. One member is responsible for monitoring the endowment and disbursing monies to the church’s operating fund quarterly. The vestry’s policy has been to allocate 5% of each endowment’s assets on a trailing three-year average to our annual operating budget and other programs. The vestry is the legal representative of the parish with regard to all matters pertaining to its corporate property, serving as a sort of Board of Directors for the parish. It is comprised of two wardens and nine members, who are elected by the parish at our annual meeting to serve two and three year terms, respectively. Vestry members are limited to serving in the same capacity for six consecutive years. Terms are staggered such that the parish elects one warden and three vestry members at each annual meeting. Following the annual meeting, the vestry elects a treasurer, assistant treasurer(s) and a clerk, all of whom serve one-year terms. The vestry meets monthly throughout the year, except for July and August. Meetings are chaired by the rector. The basic responsibilities of the vestry are to help define and articulate the mission of the parish, to support the church's mission by word and deed, to ensure effective organization, and to manage resources and finances. Please visit our Leadership page for a current list of vestry members.